SUMMARY: A rookie FBI agent must trust her instincts and a locked up psychopathic cannibal in order to prevent a another psychopath from killing again. DETAILS: It’s hard to believe that an entire generation has grown up since The Silence of the Lambs was originally released. 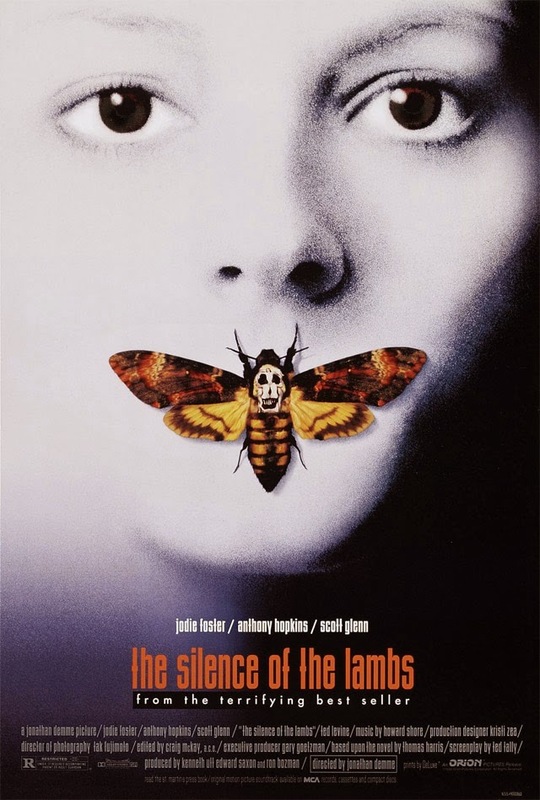 The story was so unbelievably frightening back in 1991… a cannibal named Hannibal Lecter that gets inside your mind and literally under your skin (Anthony Hopkins), a novice FBI agent who is uncertain about herself (Jodie Foster), and a plot involving suspense, the skinning of kidnapped humans, and a transsexual antagonist who lodges sphinx moths in the throats of his deceased victims. I remember seeing this film with my wife back in the 90’s. For years I could make the rat-like noise that Hopkins makes with his tongue repeatedly striking his teeth and it would freak my wife out and of course it would typically be proceeded by my best Hannibal Lecter impersonation, “I ate his liver with some fava beans and a nice Chianti.” Unfortunately, time has passed and the world is literally a different place than it was in 1991. Perhaps the film was so shocking at the time, but we have all been so continually shocked since, that the film’s shock-factor has lost it’s punch. Perhaps there has been so much talk of gays, lesbians, bisexuals, and transvestites in recent years, that the antagonist is not nearly as “out there” any longer. Perhaps it’s that there are several scenes where the suspension of disbelief is not enough to justify the actions of the characters (i.e. how our heroine finds the murderer, how Lecter knows where to call her at graduation, etc.). Or perhaps it’s just simply because I knew how it was going to turn out. Nominated for 7 Academy Awards and winner of 5 including Best Picture, Best Director (Jonathan Demme), Best Adapted Screenplay, Best Actor (Hopkins), and Best Actress (Foster) this film is definitely worth watching… but it’s just not what it was back in 1991.